‘Established in 1861’ is a shop sign that I grew up with. It was one of the things that distinguished our family business in the market street of the East Manchester town near where I grew up. But what I love to see these days are businesses established in recent years. So when I paid a recent visit to a dairy farm in Monmouthshire, I smiled when I saw the delivery van in the farm yard saying ‘Mead Farm Foods Established in 2016’. The dairy farm itself is not quite as new as that and is run by sixth-generation farmers Lawrence and Izabela Hembrow who, three years ago, moved from the family farm in Somerset to Mead Farm on the Gwent Levels in Redwick, near Caldicot. They have a herd of 200 Holstein Friesian cattle – not large by modern standards – producing 5000 litres of milk each day. During the first three years all of the milk was distributed through the Arla Dairy Co-operative which has about 3000 dairy farmer members in the UK. 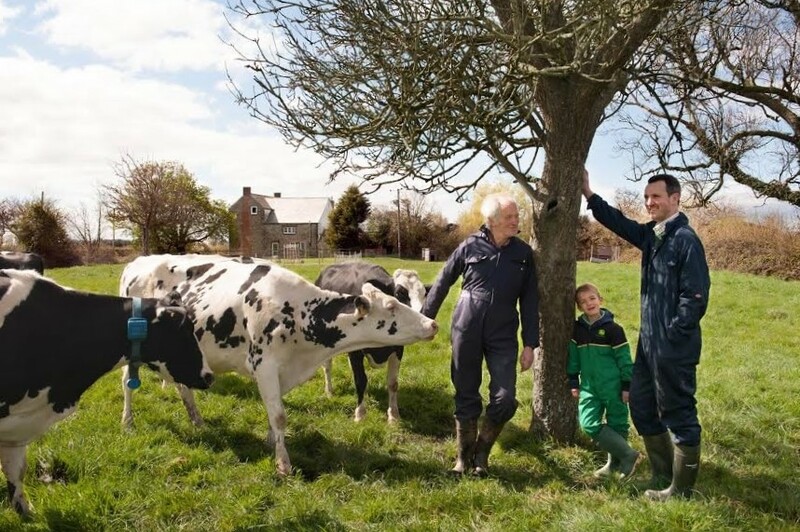 Mead Farm Foods is a new arm of the dairy farm business which Lawrence and Izabela developed not so much in response to the ups and downs of milk prices but because they wanted their milk “to tell a story” and “to share that story with their neighbours across the county”. At the heart of this new business is a pasteurization and bottling plant situated on the farm for which they were fortunate to obtain grant funding from the European Union Agricultural Fund for Rural Development. The business ‘established in 2016’ is very much a family business in which the young Hembrow children, William and Abigail, play a part. When I went into the shop in the farm yard I was professionally served by young William to a 2 litre bottle of milk and some butter, all home made on the farm. The most important outlets for the dairy produce, however, are the 60 doorstep deliveries, which are made three times a week, and in keeping with the farm’s environmental credentials, using electric vehicles. They also sell through nearby village shops and the day I visited Lawrence and Izabela were in Penhow shop answering customers’ questions about the milk and telling the story of what they do. Penhow shop sells no other milk now and sales are increasing, despite the price of a 2 litre bottle of milk being £1.90. But as one customer told me: “It means a lot to buy local milk that comes with real values – you know where it’s from and who produces it. I don’t know any of that if I go to a big retailer, and I’m happy to pay more,” she added. Lawrence tells me they are distributing 400 litres of milk locally through Mead Farm Foods. That is one per cent of the milk their herd produces, but given they have been in business only three months, Lawrence is very happy with progress. His aim is to shift larger volumes through the new business and he is working with the Food Industry Centre at Cardiff Metropolitan University to be able to market his produce more effectively. Being located next to the city of Newport which is home to 146,000 people is something he views as good potential. During the recent BBC TV Milk Man series of programmes, Gareth Wyn Jones explored the crisis facing the Welsh dairy industry. In the last of the three programmes, Gareth showed some Welsh dairy farms which are choosing to add value to their milk on the farm. And the Hembrow family, like those on the Milk Man, show that it can be done, with a business ‘established in 2016′. Picture: cows and people at Mead Farm, see https://meadfarmfoods.co.uk. When an estimated one-third of the food produced on farms around the world never reaches the table, and people are going to bed hungry even in the UK, something must be wrong. How come our food supply chains are so leaky and what are we going to do about it? In a globalized economy, some of the explanation is well out of the reach of local communities, but the loss from supermarkets and households is something we can all get to grips with. At the WRAP Cymru/FareShare Surplus Food Summit last week, an invited audience got to work on the question: How to redistribute supermarket food surplus to best effect, not simply diverting it from landfill to stomachs, but also getting the best social and environmental benefits in the process? During the course of the morning, some fascinating facts emerged. Food banks often have a waiting list of volunteers keen to help. Whether supermarkets are willing to give their food waste to community groups depends on the attitude of the manager, their head office, and even just the staff who happen to be on duty on a given day. Only 2% of the 10 million tonnes of food thrown away in the UK each year is from retailers; much more, 70%, is from households, as we buy too much and leave things at the back of the fridge. The sheer complexity of the problem was evident. This is a challenge to be tackled on many levels, not least IT, as the FareShare FoodCloud partnership with Tesco shows. Environmental health regulations, storage facilities, transport and training come into it too. The task of sorting out working relationships between supermarkets, community groups, local government and volunteers is probably the biggest though, and it is one in which values have a part to play. How is the enthusiasm of many supermarket store managers and individual staff to be translated into company policy, to be reinforced by training and facilities? What motivates volunteers to help out, and how can they be made more effective? How can we remove the stigma of surplus food being for poor people and see it simply as food, for which we all have a responsibility and which we can all enjoy? How to fit food redistribution into the bigger picture of fair food for all, linking it for instance to the local food movement? These are all questions we will be asking in our next Food Values event, in Aberystwyth. We’ll be working with an existing student initiative that links supermarkets to charities and asking how we could take it to the next level. What might that look like – a food waste café, vans, a website, a warehouse perhaps – and who could help it happen? It will mean forging new partnerships between people with very different interests, and these will be much more effective if people think in terms of the greater good, as well as what’s in it for them. It will mean people coming together on a human level, because they are members of the communities in which they live, and coming up with something new. To do that we’ll be hearing from the inspirational food waste café at Fishguard, which saves an estimated 21 tonnes of carbon dioxide emissions annually by diverting food from landfill, and is an important social hub. We’ll also hear from some of the supermarkets and charities already working with surplus food in Aberystwyth, and by sharing the stories of individuals involved, we’ll find out what’s important to them and see where there is common ground. 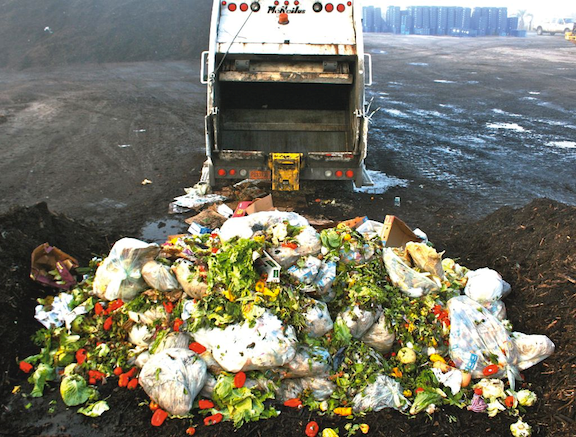 The result will be much more than an action plan for food waste redistribution in Aberystwyth. It will include an insight into what makes a community tick, and how to bring together business, community and government in order to serve their local area. It will, we hope, be another example of the way in which food, touching as it does so many aspects of our lives, is also a powerful force for individual, social and environmental transformation.